A failing Italian restaurant in the small town of Pocatello, Idaho, celebrates "famigilia week" in an effort to drum up business and reconnect with its values--a bit contrived, considering the restaurant is one branch of large and impersonal corporate chain. But Eddie, the branch manager, believes in the restaurant and in the town, and refuses to give up on his home even as businesses close and friends and loved ones move on to life outside Pocatello. 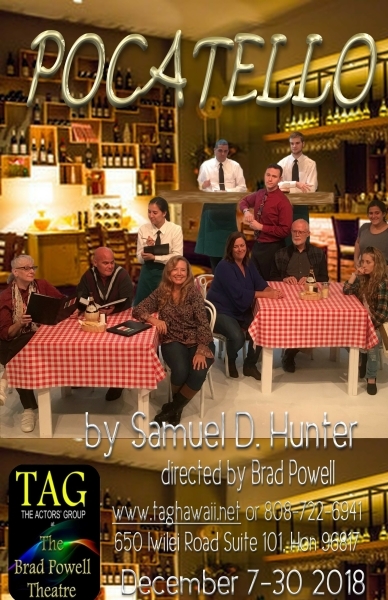 From acclaimed playwright and MacArthur Fellow Samuel D. Hunter, Pocatello is a comedic and heartfelt look into the changing landscape of middle America, and the flawed and lovable people trying to build a home on shifting ground. From the writer of the critically acclaimed Death of the Persian Prince and A Normal Life comes the award-winning new play, The Crusade of Connor Stephens, where extreme loss shakes a Texas family as it comes to terms with a tragic act of violence. In the midst of widespread media attention, their story becomes an allegory for the national debate over religion, tolerance and the seedlings of hate. With humor and resilience, they will confront the ghosts of the past and discover the brutal universal truths that define the American family in the 21st century. 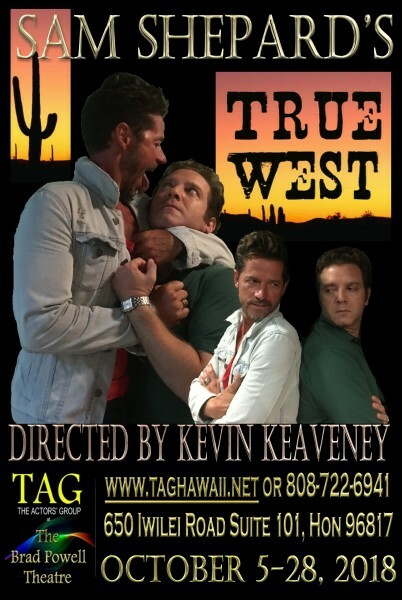 The Crusade of Connor Stephens made its world premiere at The Midtown International Theater Festival, followed by a critically-acclaimed commercial Off- Broadway run at the Jerry Orbach Theater at the Theater Center, 50th Street and Broadway in New York City. Angel Cruz is a 30-year-old bicycle messenger awaiting trial for the death of the leader of a religious cult. Inside Rikers Island, a terrified Angel is befriended by a charismatic serial killer named Lucius Jenkins. Lucius has found God and been born again, and now, Angel's life and the course of his trial will be changed forever. By Pulitzer Prize-winner Stephen Adly Guirgis (Between Riverside and Crazy). Winner of the 2017 Pulitzer Prize. 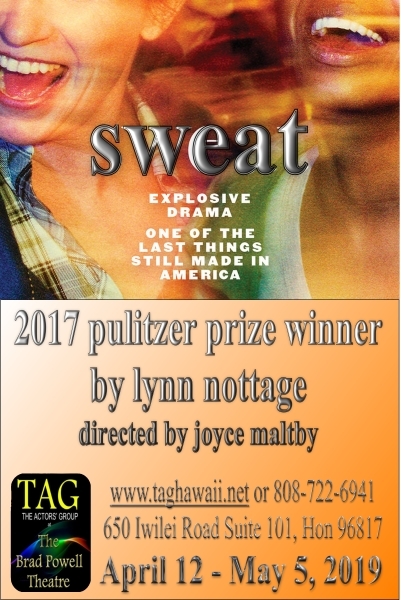 Filled with warm humor and tremendous heart, SWEAT tells the story of a group of friends who have spent their lives sharing drinks, secrets, and laughs while working together on the factory floor. But when layoffs and picket lines begin to chip away at their trust, the friends find themselves pitted against each other in a heart-wrenching fight to stay afloat. 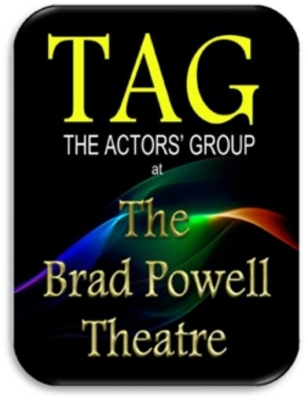 TAG is happy to present, for the third time, another look into the lives of the creators of the Great American Songbook. This time, Shari brings us the music of composer/lyricist Cole Porter - the brilliant, flamboyant, eccentric writer of such enduring songs as Night and Day, I've Got You Under My Skin, You're the Top and hundreds of others that were so unique, he created a whole new genre of popular song; The Cole Porter Genre. His life will be explored in story and song, offering anecdotes from friends and authors who knew him well. This show will also be accompanied by a multimedia presentation.